Parents, teachers and early childhood educators take note! “Read & Create” is a new blog feature that we’re really excited about. 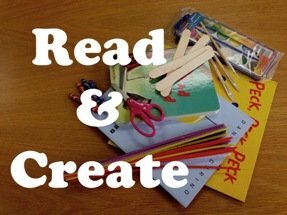 Each month WPL staff will review a new picture book and include step-by-step instructions for a related craft. We’re hoping these posts will be perfect for storytime inspiration or keeping your children occupied on a rainy (or snowy!) day. Let us know what you think in the comments. Enjoy reading & creating! A joy-riding cow ends up in a heap of trouble in this vibrant, colourful tale. Despite the fact that there are just a few words in this book, it has enough story, humour and visual fun to keep kids engaged for repeated readings. This would work well both one-on-one or in groups and even for very early readers eager to get moo-ing!. 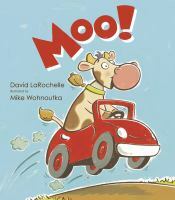 Children will delight in this bovine adventure and be tickled by the surprise ending. 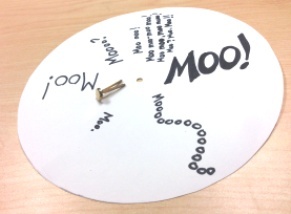 Both old and young will be amazed by how much can be expressed with the single sound: Moo! To start, you’ll need to create an image of a cow. You can do this any way you like. 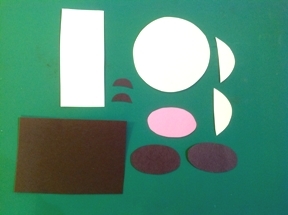 We created ours using simple shapes cut out from construction paper. Attach your cow image onto one half of a sturdy piece of paper such as bristol board. On the other half of the page cut the shape of a speech bubble. Punch a small hole in the middle of the page near the “point” of the bubble. Cut out a white bristol board circle that will fit behind your page. Punch a small hole in the middle. Write various versions of “MOO” around the wheel in different fonts and sizes. Attach the wheel to the back of your bristol board using a fastener. Turn the wheel to change the word bubble. Voila, a talking cow! 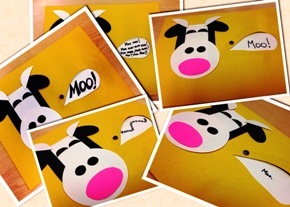 One Response to Read & Create: Moo! 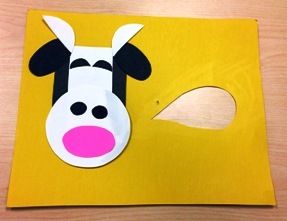 What a mooo-velous craft activity based on our book! And thank you for such a great review. We are udderly delighted!